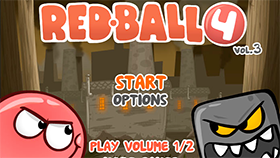 Red Ball 3 is the third installment in this puzzle action game series developed by Evgeniy Fedoseev. 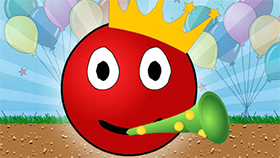 The plot of the game is that Red Ball and Pink Ball fell in love with each other which makes Black Ball become jealous, causing him to hit Red Ball form the back and kidnap Pink Ball. 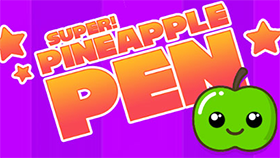 Your objective is to go after Black Ball and rescue Pink Ball. 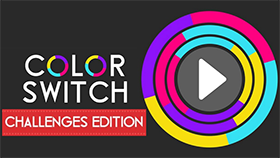 This game has a total of 20 levels, each with its own unique challenges. 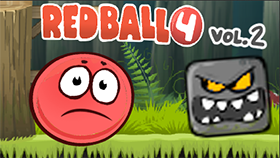 Similar to the first 2 games, your goal here is to maneuver the red ball across treacherous terrains, challenges, obstacles, traps on the way and safely reach the end flag. 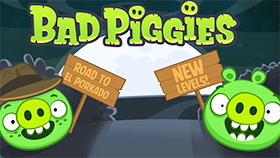 However, in this game you don’t have to collect all the stars before reaching the end of the level, though now there are 2 types of stars: silver stars which give you 10 points each when collected and gold stars which give you 50 points each when collected. Of course the stars are in extremely hard to reach locations but that doesn’t mean it’s impossible to get them. 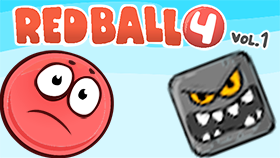 In Red Ball 3, with each level you’ll also have to face off against a variety of new challenges like spike ditches, rotating wheels used to move wooden planks using switches... that will require you to time it precisely in order to use them to get to the next spot. 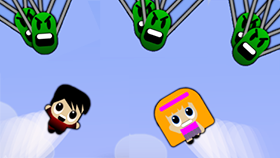 Sometimes, small flags will appear in the levels that act as your save points. It helps you continue at the spot that you save when you die to prevent you from having to replay from the beginning.